Guess where the hoarder lives? 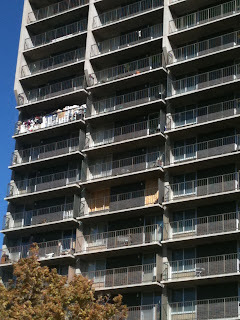 I wish this photo was larger so you could get the full effect of how much crap was on that balcony. 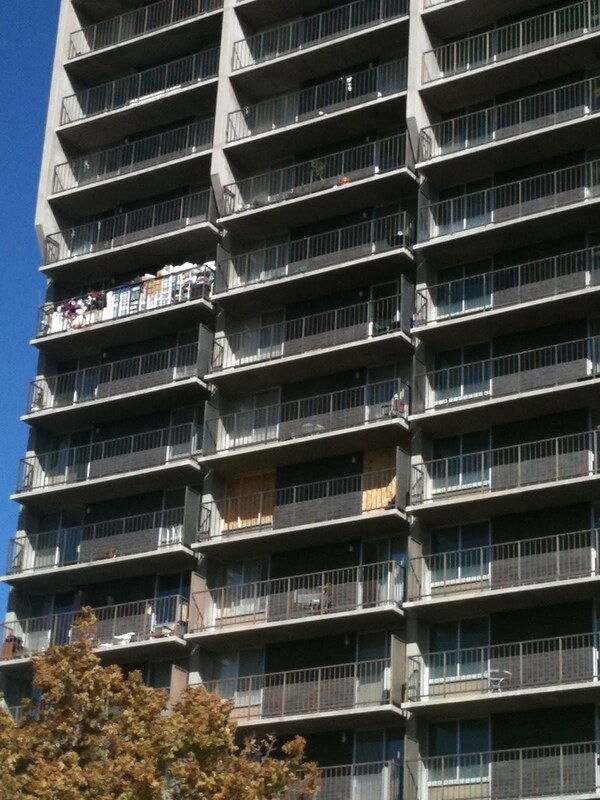 I don't think I've ever seen a balcony that full of junk.